The Supervisory Board of Knorr-Bremse AG has appointed Dr. Peter Laier (47) Executive Board member responsible for the Commercial Vehicle Systems division. Effective January 1, 2016, he is to succeed Klaus Deller (53) who has filled this position in an interim capacity in addition to his role as Chairman of the Executive Board. 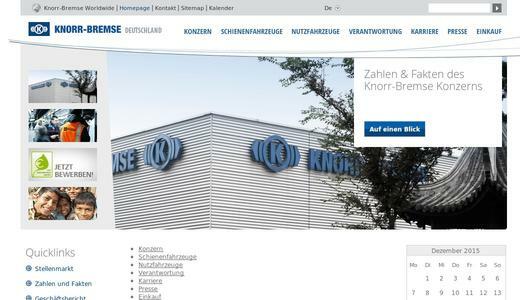 "We are delighted that in Dr. Peter Laier we have been able to recruit an Executive Board member for Knorr-Bremse with extensive management experience in the automotive industry. In the course of his career he has amassed a comprehensive knowledge of the fields of development, production (with a focus on vehicle electronics and sensors) and sales. In addition, our company will benefit from his international experience, mainly in Asia," said Heinz Hermann Thiele, Proprietor and Chairman of the Supervisory Board of Knorr-Bremse AG. "At the same time I would like to express my thanks to Klaus Deller, who for an interim period has successfully managed the Commercial Vehicle Systems division in addition to his duties as Chairman of the Board, and can thus hand over the division in good shape." Born in Fulda, Germany, in 1968, Peter Laier graduated in Mechanical Engineering before beginning his career as Group Leader at the Fraunhofer Institute for Manufacturing Engineering and Automation (IPA) in Stuttgart, before moving to join Continental AG in Hanover in 2000. 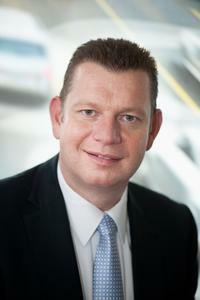 In 2001 he earned his doctorate in Engineering (Dr.-Ing Maschinenbau) at the University of Stuttgart. At Continental, Dr. Laier held a variety of management roles, including head of the Hydraulic Brake Systems business unit and head of the Chassis Components business unit. He gained international experience in positions including CEO of Continental Automotive Corp., Japan, and as head of the Asian region of Continental's Chassis & Safety Division. Prior to joining Benteler International AG, Salzburg in 2014, he was Chief Technology Officer (CTO) and a member of the Managing Board of Osram AG, Munich. Most recently, Dr. Laier was Chief Operating Officer (COO) of the Benteler Group, where he was responsible for the Automotive and Steel/Tube divisions, as well as for strategic corporate development.